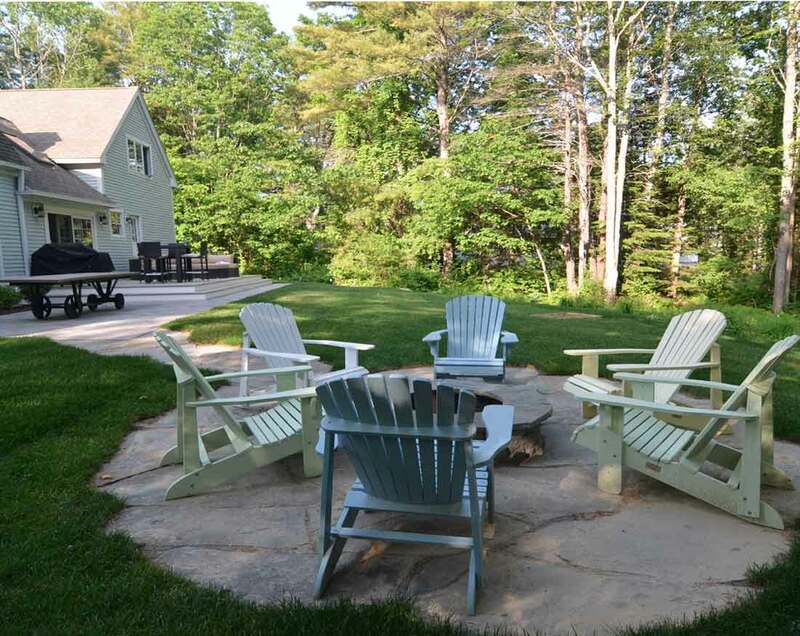 This client recently purchased this property and wished to enhance the rear yard area to include a patio for dining, a fire pit, and a horse shoe pit. The rear yard had a significant slope that needed adjusting to create more level grade for the patio, fire pit, and horseshoe pit. 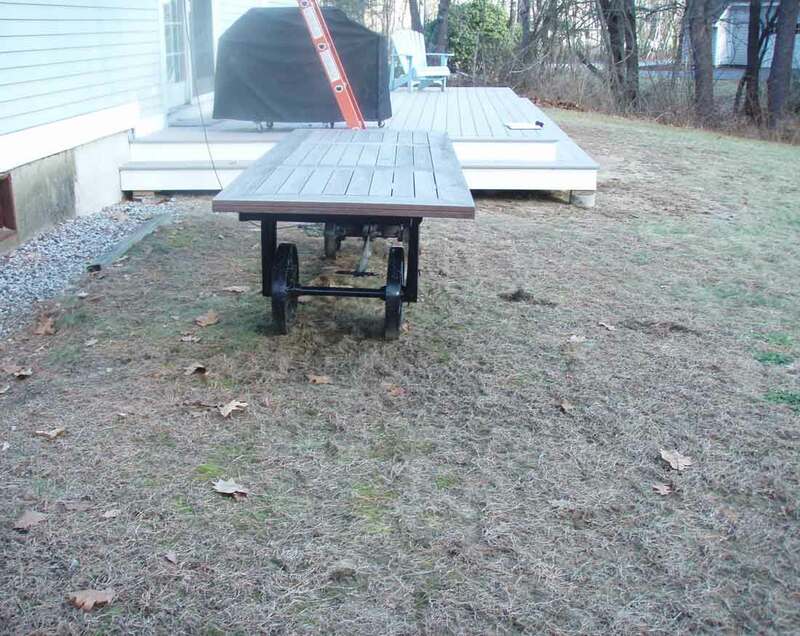 BEFORE – the rear yard is very sloped, has truck damage, and is in poor condition. 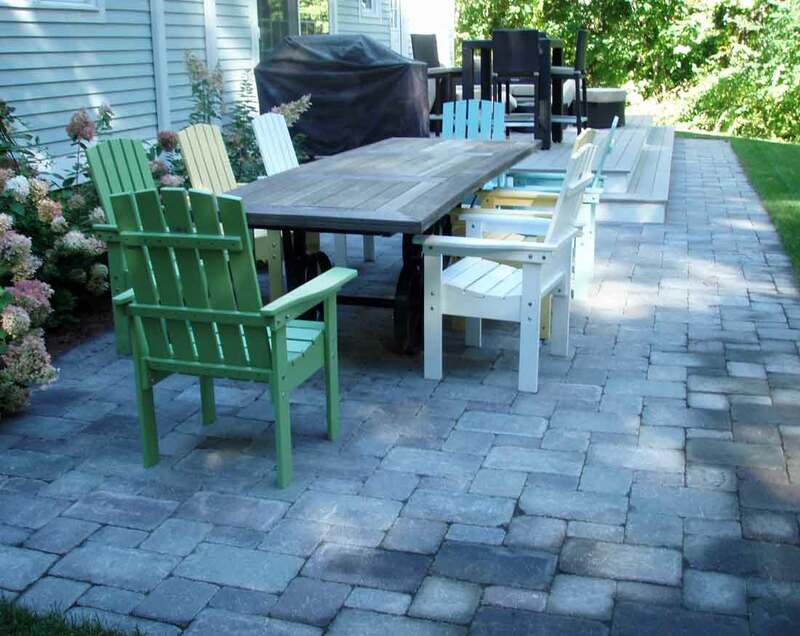 AFTER – the fire pit and horse shoe pit lead to the new patio. 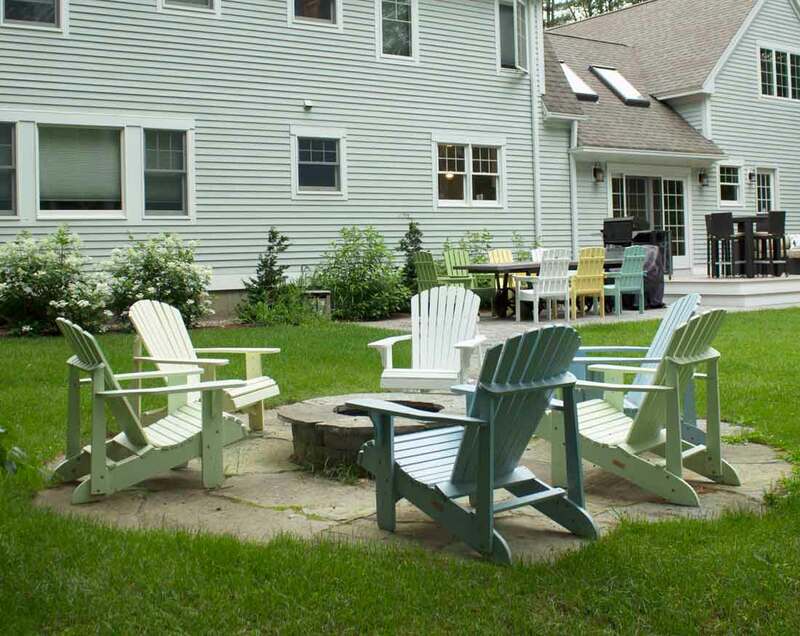 BEFORE – the patio area is a struggling lawn. 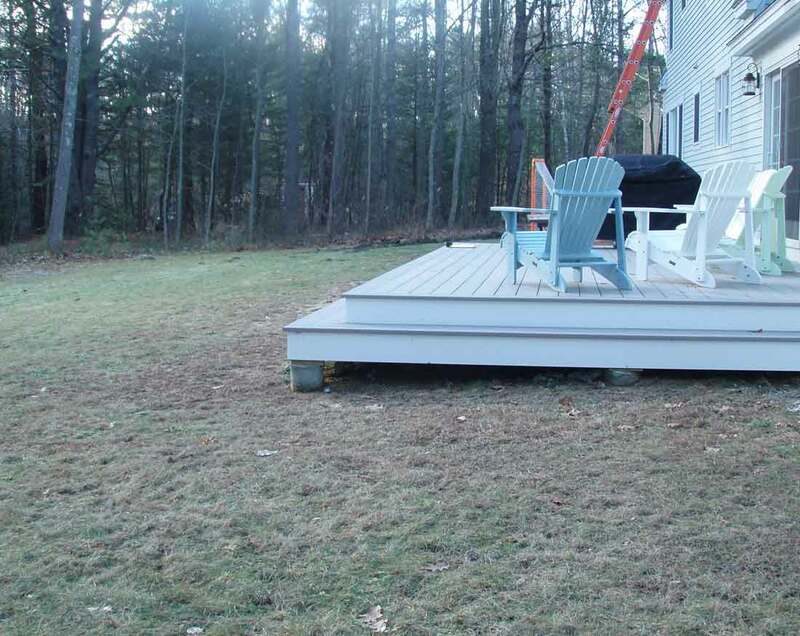 AFTER – The newly installed patio extends along the front of the deck. 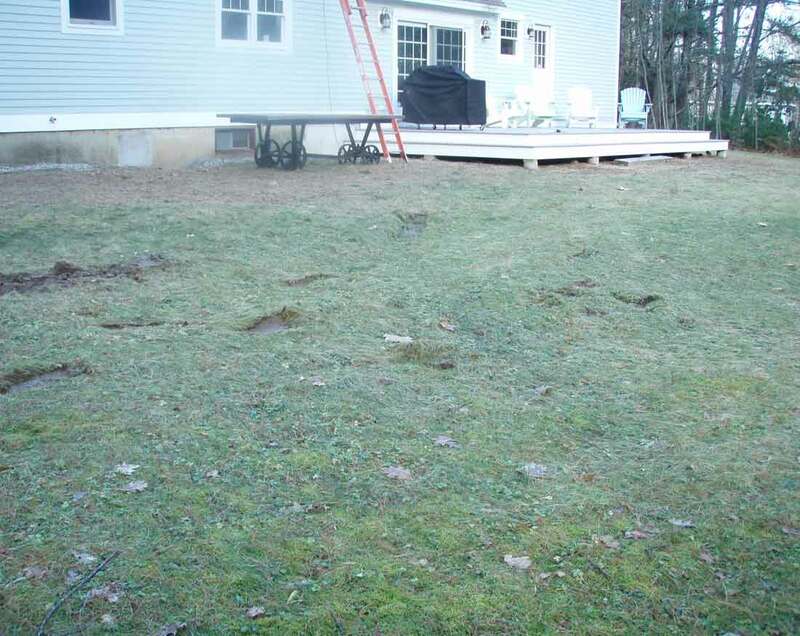 BEFORE – lawn was in poor condition. 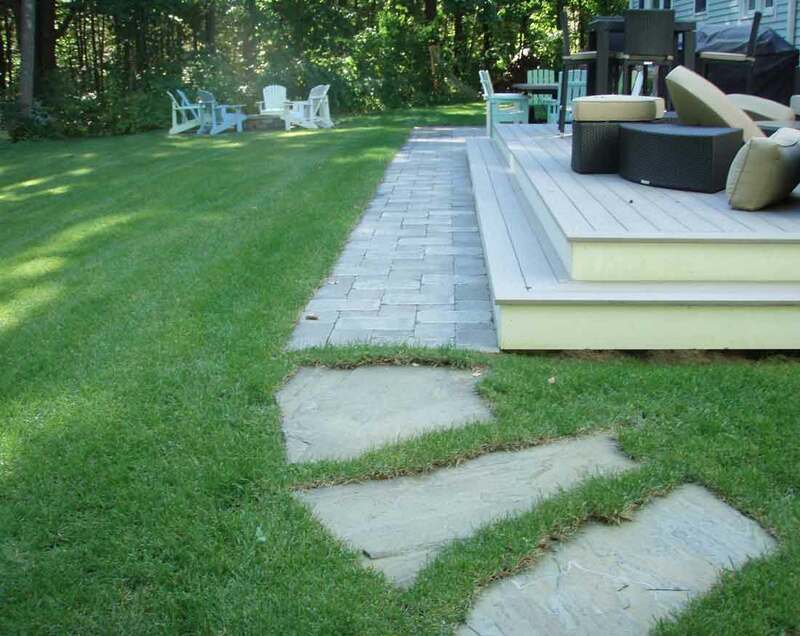 AFTER – the existing lawn was scraped off, regraded and loam/compost added prior to sod install.